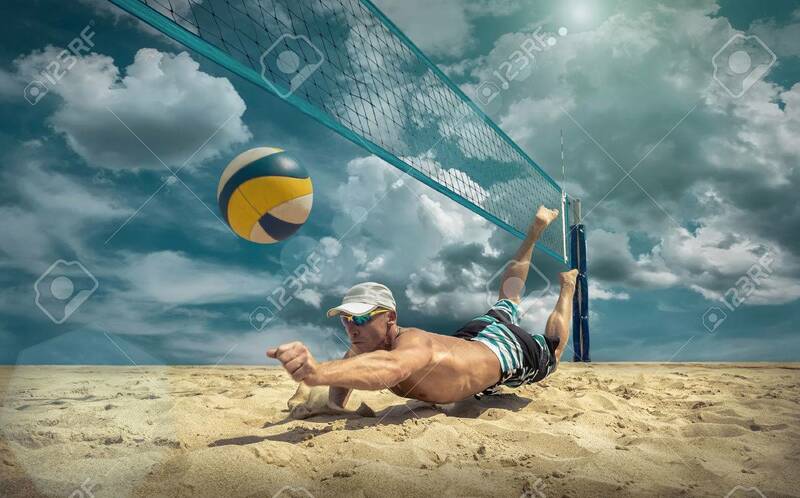 Beach Volleyball Player In Action At Sunny Day Under Blue Sky. Royalty Free Fotografie A Reklamní Fotografie. Image 63681516. Reklamní fotografie - Beach volleyball player in action at sunny day under blue sky.